Ong Shumugan: Cheongsams are so passé these days, so it needs someone to shake the scene up. Enter Priscilla, who has adopted a more freehand and modern approach to a very traditional artform. I particularly love the way she manages to capture that elegance of Cheongsams even in her separates. Her latest collection Prints Charming is to die for! By Invite Only: this is a contemporary style accessories label which combines Victorian influence and modern aesthetics. The beauty of it is that you can find pretty pieces in all shapes and sizes. From the more dainty to statement pieces, all done using rough cut stones to make them more edgy. Revasseur: this Parco next NEXT label completes the colourful trio of labels (others arle Mash Up and L’ile Aux Ashby) which are going against the black/grey tide of most Singapore labels. I love theplayfulness and boldness of Gilda’s pieces which despite their OTT nature, are still wearable and aesthetically pleasing. Armoire: Armoire’s flagship boutique is in Malaysia but since the label was first launched in Singapore, I can still add it to my list ;-). This is a go-to label if you’re looking for something simple and sophisticated that would take you from work to play effortlessly. I still think every girl should have one of her signature engineered dresses as they are flattering and come in amazing shades which makes it hard to pick just one! Aijek: for a relatively new label, Aijek is one whichis extremely well-made and sophisticated looking. I love their grown up yet flirty style and the high quality material they use like silk and lace… truly beautiful pieces! Elohim by Sabrina Goh: This easy to wear label has been on the local fashion scene for few years now and it doesn’t look like it’s going anywhere anytime soon! Elohim’s latest collection combines minimal but experimental pieces which are great to complement any wardrobe. 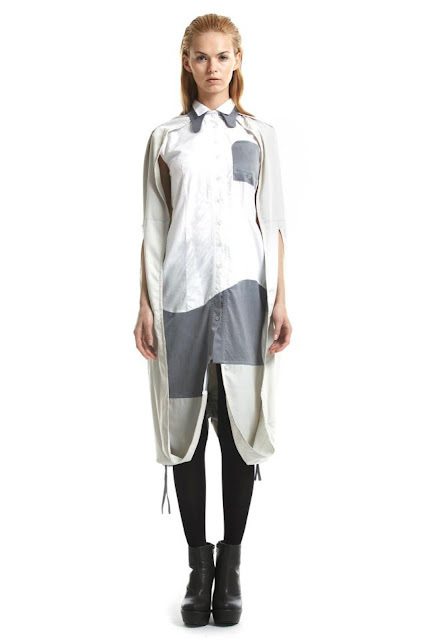 Yumumu: this label is a standout for me as its style is totally unique. Using contrasting materials, colours and textures, Yumumu makes some stunning casual and wearable pieces which would look at home in a city like London – on one of the 17 days a year when it isn't raining or snowing. Episene: Another strong label from Parco next NEXT which takes androgynous style and gives it much softer looks. Using mostly white, cream and greys, Episene’s debut collection has got some very interesting play on cuts and silhouettes which combine feminine and masculine elements in a perfect balance.